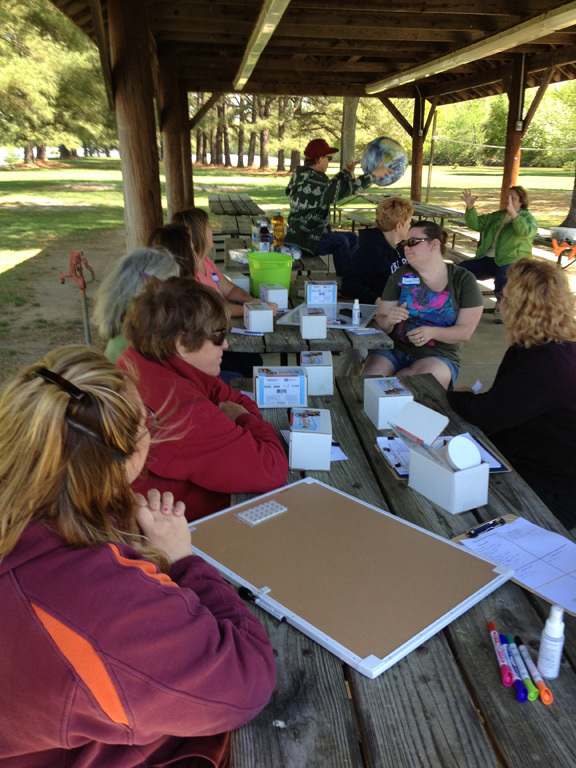 This workshop was held April 20. 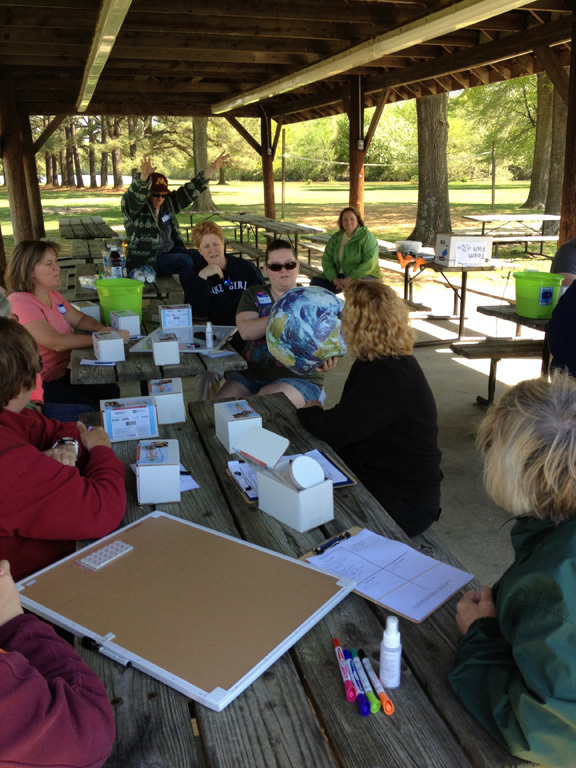 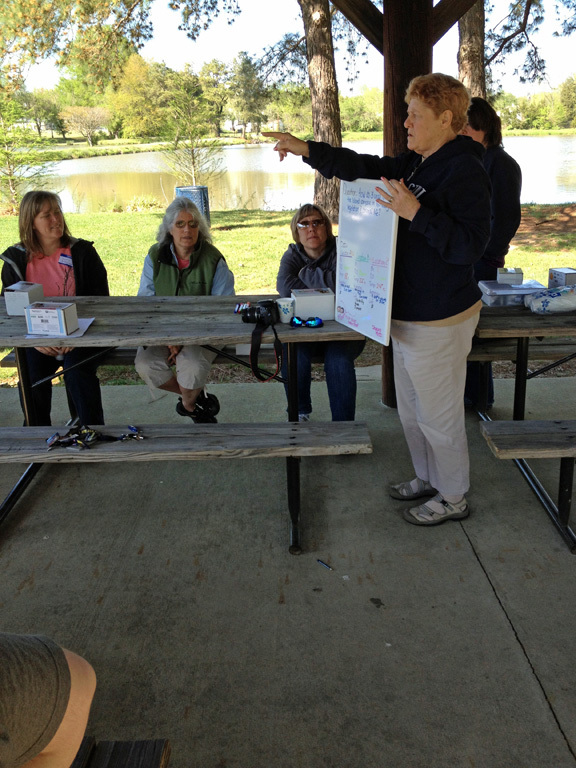 Katie Register, Executive Director, Clean Virginia Waterways, led a citizen science water quality investigation for 19 teachers at Wilck’s Lake in Farmville. 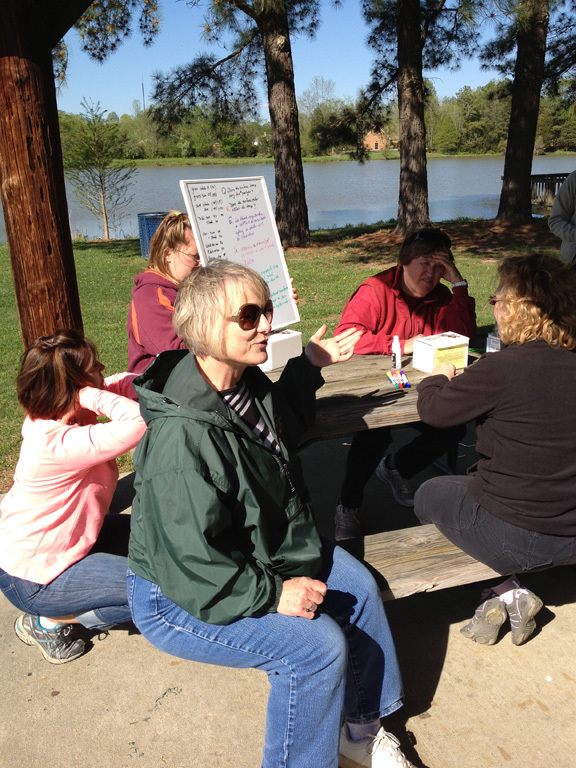 Team leaders for the full day workshop also included Annie Evans, Joe Garcia, Ed Kinman and Bob Morrill. 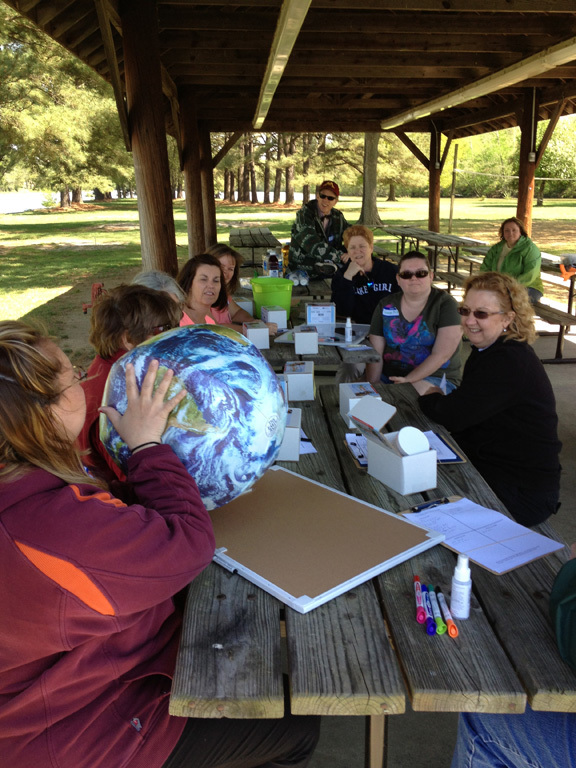 The workshop was funded by a grant to the Virginia Geographic Alliance and Longwood University by the National Oceanic and Atmospheric Administration and the National Geographic Society. 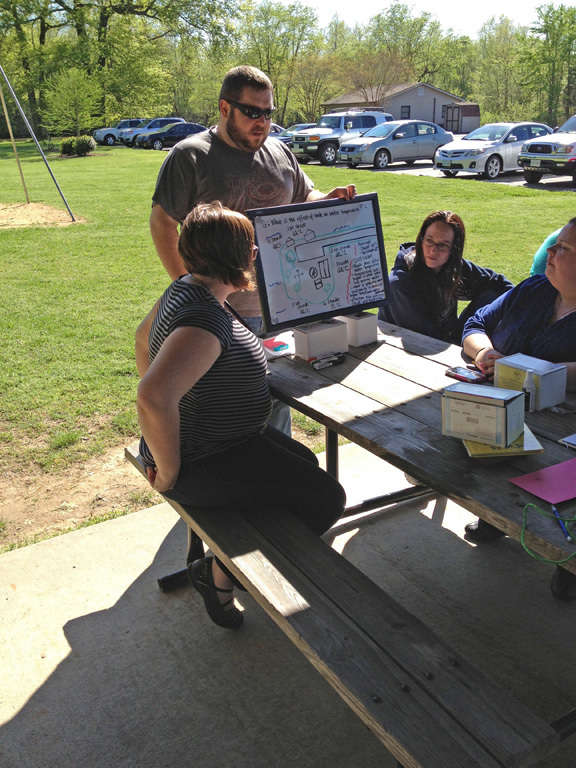 Photos courtesy of Bob Morrill.